The guide sheet that accompanies them provides information on their immediate care as well as a lot of background info on air plants in general. Makes a dull area pop! This was used in a natural area to add some color and it did just that! Rock Cap Moss is a small flowerless plant that grows in thick clumps, usually in damp or shady locations. It’s green and tiny. With constant maintenance, it can grow anywhere, but in the wild, it wet places with little sunlight, like rocks on the banks of rivers and lakes, covered by tree foliage.An individual rock moss plant is made of single-celled leaves that attach to a stem. The stem can be branched or unbranched, and it has a curbed role in getting nutrients and water. Some species of rock moss have vascular tissue, but it is usually not developed very much. Indeed, the tallest rock moss in the world is only twenty inches in height. The plant doesn’t have any seeds, and when it is fertilized, it develops un-branched stalks that have a capsule full of spores on top. The spores then spread. The plant uses its leaves to absorb water and nutrients, and harvest carbon dioxide and sunlight to make food through contact with the sun; in other words, photosynthesis.Rock moss is usually considered a weed in grasslands. But it is valued in many the gardening of many cultures, such as that of the Japanese, who think rock moss adds an air of calm and stillness to gardens. Rock Cap Moss is a species of moss that grows in the wild on the tops of boulders and rocks. This type of moss is densely packed together and is a medium to dark green. This type of moss grows best when it is manually crumbled apart when planting it. 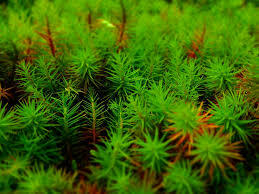 The manual breaking of the moss signifies it to start the growing process. This will help the moss to grow and spread out on the rock surface better. It also helps to avoid placing this type of moss in direct sunlight areas as prolonged direct sunlight can cause the moss to start to yellow. Rock Cap Moss looks like a densely covered patch of green fur that covers a rock top. This type of moss can be applied to a variety of outdoor projects to create the ideal look the individual is looking for. Rock Cap Moss goes well in areas that the person does not require to be covered immediately. The Rock Cap Moss is a type of moss that can normally be found growing on top of some rocks and boulders that are in the wild. 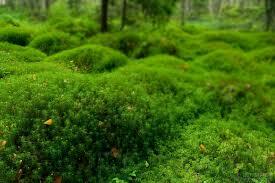 It is very dense, and is the color dark-green. Able to be moved from place to place easily, this moss is able to be transplanted into areas that are shady rocky and areas that have soil, making Rock Cap mosses a good thing to put in your collection of wildlife.